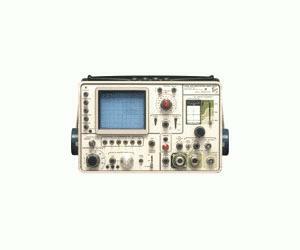 Designed for rugged environmental conditions and easy mobility, the Tektronix 491 Spectrum Analyzer is a solid-state portable unit that is both dependable and easy to use. Covers the 10MHz to 40GHz range (12.4 to 40GHz, requires external waveguide mixers). Features internal phase lock, calibrated dispersion and coupled resolution. Sensitivity is -100 dBm or better. Resolution of 1kHz to 100kHz, coupled with calibrated dispersion positions, but separately switchable.